Video captures insights and hopes from the partners who are working to restore Lehua Island, Hawai’i. Lehua Island, Hawai’i is an important nesting site for more than 17 species of native seabirds, but predation by non-native, damaging (invasive) species on seabird eggs, chicks, and adults has had an ecosystem-wide impact. 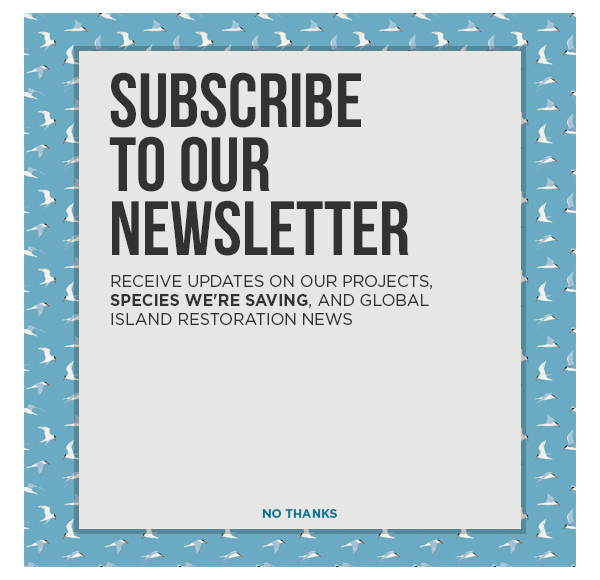 In an effort to restore the island to a safe refuge for seabirds, Island Conservation, in partnership with Hawai’i’s Department of Land and Natural Resources and other Lehua Island Restoration partners have taken action to remove the invasive predators. After a careful process Island Conservation and partners planned the conservation intervention using lessons learned from a previous effort to restore the island in 2009. Currently, monitoring efforts are underway to ensure the success of the project. Enjoy this video about the project and the partners’ hope for a future of healthy seabirds on Lehua Island.